13.07.2015. Sochi, Russia. 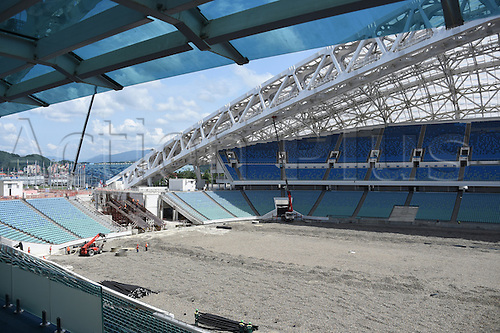 Builders work in the Fisht stadium, former Olympic stadium, and future stadium for the FIFA soccer world cup in the Olympic park in Sochi, Russia, 13 July 2015. In 2018 matches of the soccer world cup will take place in the stadium.